PETER Lynch's response to the carbon tax is a breath of clean air in the smoggy mix of doomsayers. Mr Lynch, who is managing director of Dorrigo-based renewable energy manufacturer Pelena Energy, said he was confident the new tax would not only clean the planet but offer enormous economic opportunities for Australia. 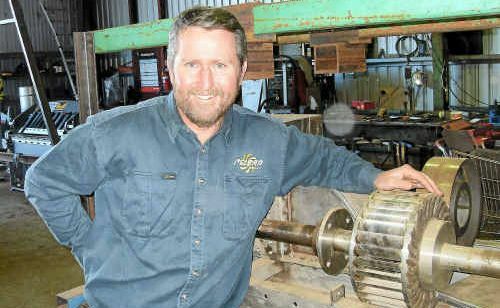 Like many others, after years of hitting the proverbial brick wall when it came to getting government support for his micro-hydro technology, Mr Lynch has ended up taking his business off-shore and has seen orders grow by 400% in six months. “In the past, renewable energy technologies like evacuated tubes for solar hot water, solar photovoltaic for electricity generation, high temperature solar thermal power generation and wind turbine technologies have all had extremely significant early developments in Australia but all ended up being exported and benefiting other countries,” Mr Lynch said. Referring to the $10 billion Clean Energy Finance Corporation, Mr Lynch believes the talent of Australia's researchers in developing new technologies will finally receive the incentives in Australia for take-up in Australia. And finally, he is very pleased to see a tax regime that discourages pollution.